One of the most popular reasons to eat healthy is to lose weight. However, our diet dictates more about our health than just our weight. Many parts of the body rely on the nutrients we eat to get energy, keep up functions, and keep us going. It’s important that we consider these factors when we choose to eat one thing over the other. One of the most important parts of our bodies that rely on the food we eat is the heart. The best foods to eat for heart health can help make sure our blood stays clean and our heart stays healthy. Do everything you can to make sure that your heart is happy by choosing the best foods to eat for heart health. Heart disease is something that we need to actively work to avoid. Unfortunately, there are so many threats to our heart in our diet, in the air, and in everyday life. The only thing we can do is work to lower our risk of heart disease or cardiovascular disease. 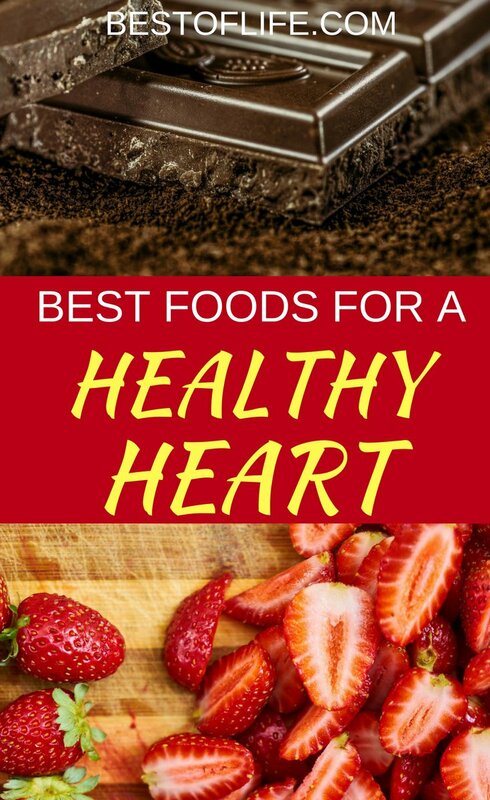 One of the best and easiest ways to make sure your heart is healthy is to eat the right foods. Heart health can be directly affected by the foods we eat because of how the nutrients we consume get around the body; through our blood. Eat the right healthy foods and make sure you have a healthy heart to lower your risks. Salmon has a high amount of omega-3 fatty acids. Those acids have been studied and shown to lower the risk of arrhythmia, atherosclerosis and decrease triglycerides. Essentially, those fatty acids are doing a lot to keep your heart and arteries clean and working properly. Omega-3 fatty acids aren’t just found in salmon, most any fatty fish has them and will be beneficial to your diet. During a study in 2013, women aged 25 through 42 who had more than 3 servings of both blueberries and strawberries had a 32% lower risk of heart attack. The authors of the study found that the antioxidants in the berries may have been the cause of a decrease in blood pressure and dilate blood vessels. Basically, the compounds in the berries that give them their red and blue colors also help your blood and heart. Don’t rush out and buy your favorite candy bars just yet. In a study done in 2012, a compound in dark chocolate lowered the risk of nonfatal heart attacks and stroke. However, the chocolate must be made up of at least 60-70% cocoa. The polyphenols found in those dark chocolate help blood pressure, clotting, and inflammation. Milk chocolate doesn’t meet the qualifications and candy bars don’t have enough cocoa. Any soy products will fit the bill here but tofu and soy milk may be the best. Soy products contain polyunsaturated fats, fiber, vitamins, and minerals that may reduce blood pressure. In fact, the proteins found in soy can actually get rid of bad cholesterol. Tofu isn’t for everyone but soy milk is a lot easier to introduce into your diet. That order of large french fries won’t do the trick, frying potatoes will decrease their nutritional value. 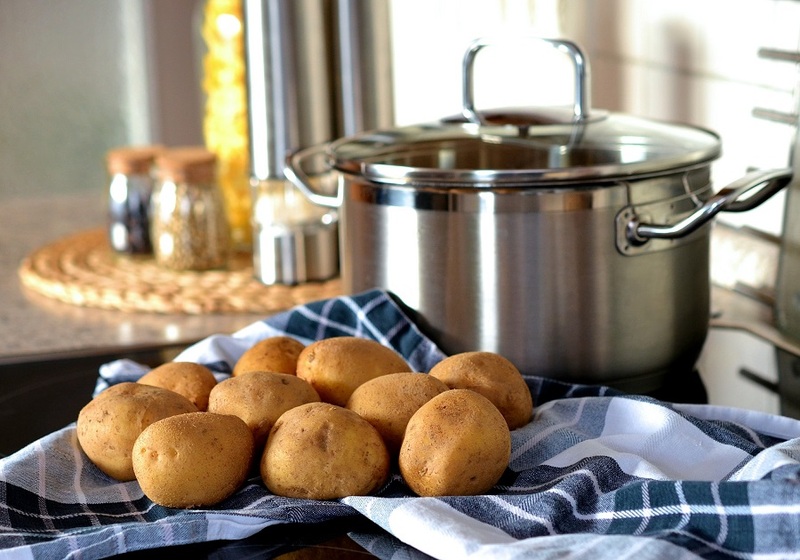 But if you bake potatoes or even boil them, you’ll get all of the fiber and potassium that can be found in them. The potassium will lower your blood pressure and the fiber will lower risk for heart attack. Red wine is an interesting one that can both help and harm you. Actually, any type of alcohol has a compound polyphenol in it and that will risk for heart disease. However, more than a glass or two a day will actually increase that same risk. There are other ways to get the same compound that won’t be harmful like with peanut butter or grapes. But who doesn’t like a reason to have a glass of red wine with dinner? A study was conducted in 2013 and it found that when people drank four or more cups of green tea a day they lowered risk of cardiovascular disease and stroke. That risk was lowered by about 20% and the results are thanks to the antioxidants in green tea. Avocados are known for being a tasty source of healthy fats for the body. These fats may lower heart disease risk factors like cholesterol. The antioxidants and potassium don’t hurt either. There are many ways to get the benefits from avocados, eat them raw like an apple, or blend them into a dip. No matter how you eat the avocados you’ll get the benefits. If fats are something you want to avoid on your heart health diet, legumes are a great way to get started. Legumes include plant-based foods like beans, lentils, and peas. Studies have shown that legumes will lower the risk of heart disease by lowering blood sugar levels. Tomatoes are like potatoes, they have a high level of potassium which is great for your heart health. There is also an antioxidant called lycopene which can help get rid of the bad cholesterol in your body. Together, these compounds lower risk of heart attack.